There’s just something about German Shepherd dogs that attract people to them. It’s that certain something that probably led you to click the link to this story; you’re probably thinking of getting one. It’s actually more than one thing. There are lots of reasons people love to own German Shepherd dogs. Here are some of the most popular reasons. Whether you’ve been gone for 8 hours at work, or 8 minutes at the store, your German Shepherd dog will always greet you like a long lost friend when you walk in the door. Who wouldn’t want to come home to that level of enthusiasm, every single time they come home. That greeting is a warm hug after a tough day at work that you don’t get from most pets, and it’s one of the main reasons people love their GSDs. It’s been said that you can teach a German Shepherd to just about anything. They’re inquisitive, perceptive, and relentless problem solvers. 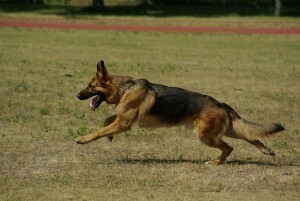 If you put in the time to properly train them, you will make all other dog owners jealous with what your GSD can do. This is why they’re the go-to choice breed for the police and the FBI. They can pick up on how you feel and what you need. They can tell if you’re sad and need some affection, or you’ve had a long day and just want to be lazy at night. 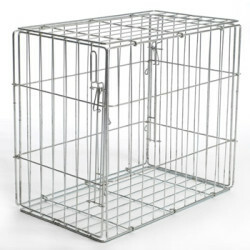 Your kids will love your GSD, and it will love them. 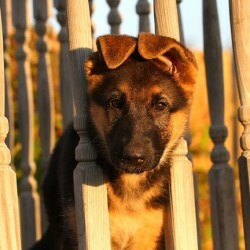 German Shepherd dogs are family-focused and extremely loyal to the people they love. They will adore and protect your children forever. 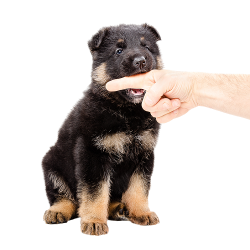 Of course, proper training and socialization are crucial to making sure your German Shepherd puppy knows how to act around children (particularly young ones) and vice versa. But once the connection is made, your German Shepherd is a part of the family, and it will warm your heart to watch them interact and play with your kids. Believe us when we say no blog can accurately capture the full experience of owning a German Shepherd dog. We can give you all the reasons in the world, but if you’ve read this far, chances are good you’re ready to take the next step. 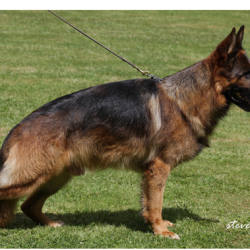 It’s time you spoke with a purebred German Shepherd dog breeder. Because working with an accredited and recognized breeder is important in ensuring the pedigree and health of the newest member of your family.